One of the most demanded marble varieties is this Lady Onyx White Marble, this one is known for its high level of hardness and naturally beautiful texture. Originated from composition of micas, quartz, clay minerals, iron oxides, pyrite, graphite and mineral calcite (CaCO3), this natural stone is extensively used a facing stone, stair treads, floor tiles, window sills, columns, architectural panels and for making many other decorative stone pieces. 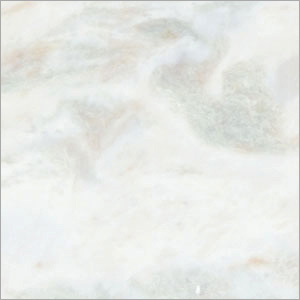 The offered white variety of marble has high calcite content, it is generally formed in the large deposits that are geographically extensive and can have thickness of hundreds of feet.